The reason I was smelling sulfur yesterday. During yesterdays game I started smelling sulfur. This is where it came from. Poas volcano is about 35 miles NE of us. 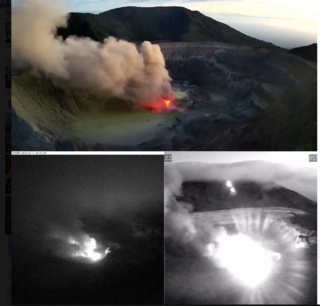 At 151 am she started having a few micro eruptions with lava present. Re: The reason I was smelling sulfur yesterday. I thought you were just having bad gas.